Chris Lam Sam is one of New Zealand’s most recognisable musical entertainers for young families. He is best known as a member of the children’s group The Funky Monkeys, the band he and his friends began in 2003. Between their founding and retirement in 2017, The Funky Monkeys performed more than 900 shows to 1.7 million people, produced seven albums, two DVD’s, won the inaugural APRA NZ Best Children’s Music Video Award in 2008, and co-produced the album that won Waikato Plunket the Prime Minister’s Award For Innovation in 2010. Lam Sam completed a Bachelor of Music majoring in composition at the University of Waikato in 2002, then pursued a career in education by completing a Graduate Diploma in Primary Teaching at the Waikato School of Education in 2005. After a short period of teaching, he combined his skills to work as a full-time performer with The Funky Monkeys. In early 2017, Lam Sam flew to London to release his first co-authored children’s book with kiwi illustrator, Angela Keoghan and their publisher, the TATE Museums. Their book Inspector Brunswick: Case Of The Missing Eyebrow went on to win the 2018 Storylines Notable Book Award alongside co-winners Dame Lynley Dodd, DNZM, and Dame Joy Cowley, ONZ. Lam Sam has continued long associations with a number of productions for children. Since 2009 he has been Musical Director for the Kids For Kids school choir concerts throughout New Zealand, since 2012 he has performed the Sailor Asthma Show over 550 times for the Asthma & Respiratory Foundation of NZ, and he has also performed regularly as the Animateur for the New Zealand Symphony Orchestra’s education concerts since 2016. In his time as a performer, he has toured two different children’s shows the full-length of New Zealand. He has also performed shows for young audiences in Australia, Denmark, and England. In 2019 he successfully gained funding from NZ On Air, enabling him to launch his first independent children’s music single and video Let’s Love Our Sea as part of an ongoing musical collaboration with award winning underwater photographer, Steve Hathaway from Young Ocean Explorers. As an active advocate for the NZ children’s music industry, Lam Sam continues to serve as a founding board member of the Kiwi Kids Music Collective chaired by children’s TV presenter and song writer, Suzy Cato. He is also the current Chair of The Goodtime Foundation, a charitable trust working to provide free music lessons, instruments, and life skills mentoring for underprivileged school children. Lam Sam’s musical entertainment work in the corporate and comedy spheres has seen him performing as the occasional ‘lone keyboardist’ for the Improv Bandits since 2001. He performed at their 20th Anniversary Show featuring Who’s Line Is It Anyway? 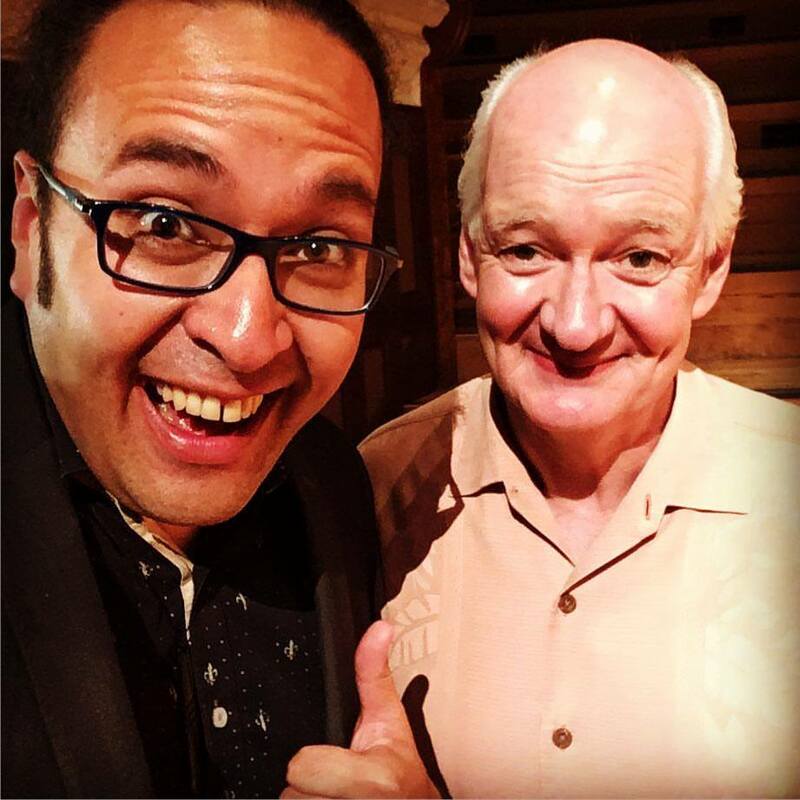 guest star, Colin Mochrie. Lam Sam continues to perform one-off character based musical shows with seasoned actor, opera singer, and improvisor, Greg Ward. Chris was also keyboardist for popular swing-funk band Late 80’s Mercedes from 2013 to 2018. Lam Sam currently lives in Wellington with his wife and three sons, and continues to tour and perform original music for young families in his independent show, Mr. Lam Sam’s Musical Mayhem Show.